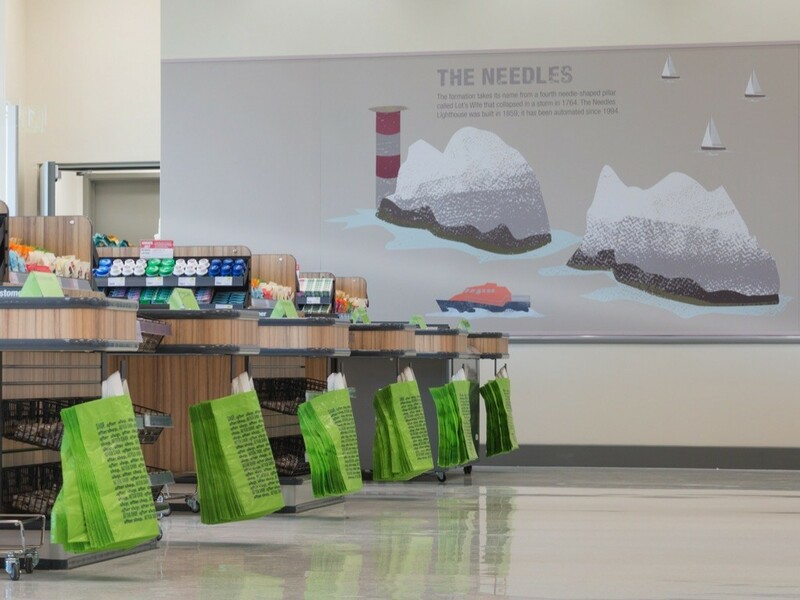 The Total Design (TDS) Group has helped long-term customer, The Southern Co-operative bring a quality community food store, emphasising fresh and local produce, to Freshwater, Isle of Wight. 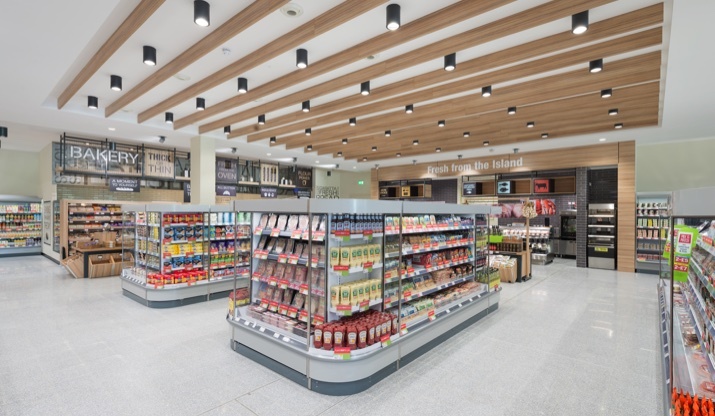 The TDS Group provided a turnkey service that included project and implementation management, shelving, bespoke counters and shop fitting, ceilings and installation plus all electrical work, including the design and implementation of customised LED lighting. The project ran smoothly, was delivered on time and within budget. 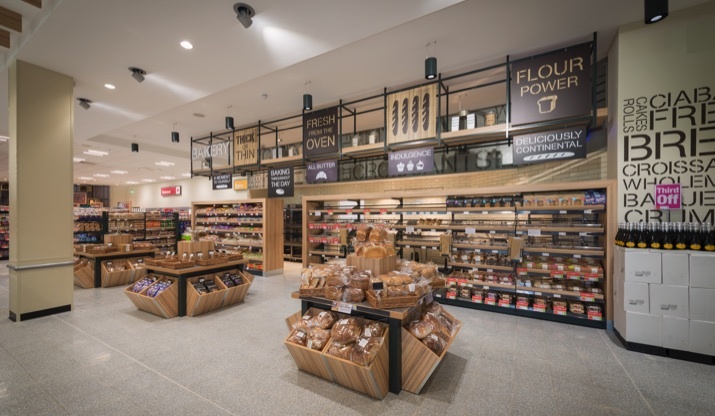 The TDS Group comprises three highly experienced, specialist companies – Total Design Shopfitting, Shelving Solutions and TDS Electrical – which worked together as a closely integrated unit on The Southern Co-operative Freshwater store. Total Design project managed, programmed and co-ordinated all aspects of the project from taking the client’s initial brief, to overseeing sub-contractors and suppliers through to final fit-out and installation. Total Design was also responsible for ensuring all work on the project was carried out in accordance with Health and Safety standards. Shelving Solutions is one of the UK’s leading value-added distributors of high-quality shelving and bespoke modular counters. Shelving Solutions designed and built a range of wall and gondola shelving, plus bespoke produce and bakery areas for a truly local store. The bespoke bakery area has been well received, as has the wine department, in welded metal and cost-effective graphics that convey the ambience of an upscale wine merchant. Total Design Electrical (TDSE) started the project with a virtual blank page. The company was asked to design, supply and fit electricals and LED lighting in keeping with the aesthetic and practical demands of the design brief. 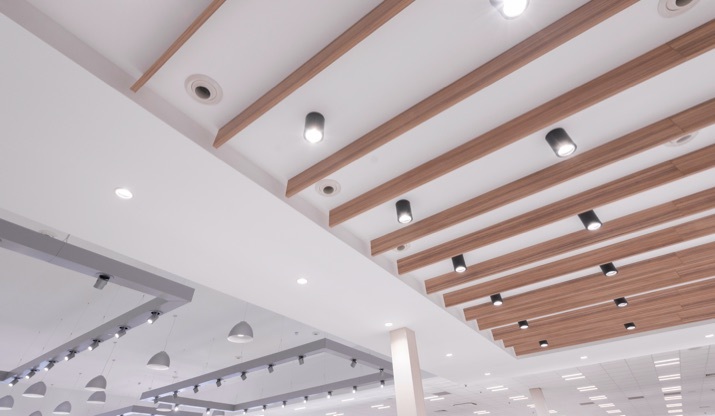 Working in partnership with Spurlite, globally renowned lighting designers, TDSE created a template for the innovative use of lighting in the store. TDSE’s retail lighting expertise is evident in the choice of lighting products and fixtures that enhance product colours such as fresh fruit and vegetables, whilst at the same time providing a vibrant, yet subtle, lighting across the store. 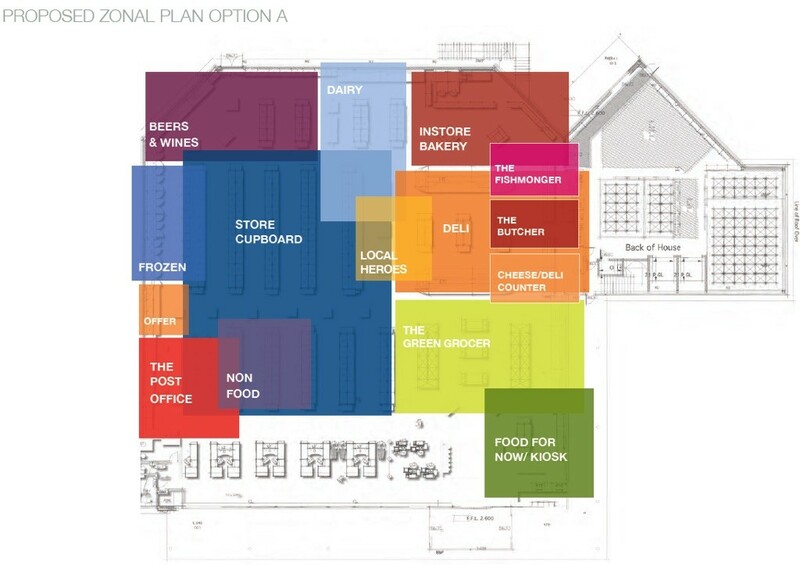 As TDSE used LED lighting, the store is 60 per cent more efficient than any other store in the network. All LED lighting and electrical elements supplied by TDSE meet the highest regulatory standards, including BREEAM and 17th Edition NIEEIC. 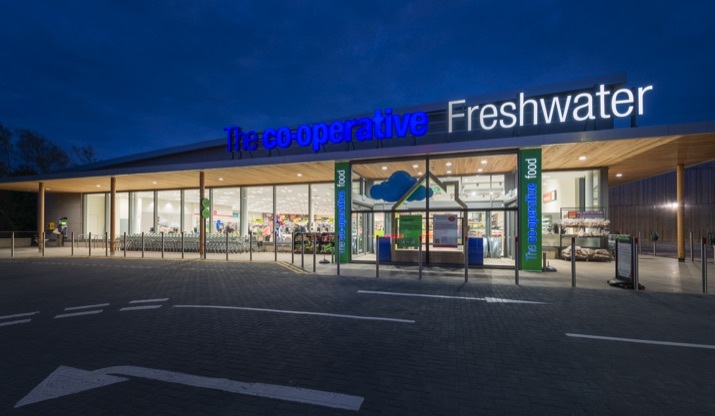 The Southern Co-operative Freshwater store opened its doors to customers in September 2015, providing a flexible, local shopping and services hub capable of meeting the year-round needs of the local community and adapting to the very different demands of summer visitors.